however, investment in nonresidential structures continues to be weak and employers remain reluctant to add to payrolls. Housing starts remain at a depressed level. Bank lending has continued to contract. That doesn’t sound good. So what do they plan to do about this? The Committee will maintain the target range for the federal funds rate at 0 to 1/4 percent and continues to anticipate that economic conditions […] are likely to warrant exceptionally low levels of the federal funds rate for an extended period. 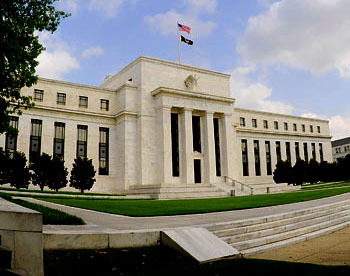 To help support the economic recovery in a context of price stability, the Committee will keep constant the Federal Reserve’s holdings of securities at their current level by reinvesting principal payments from agency debt and agency mortgage-backed securities in longer-term Treasury securities. Yep, that’s what the Fed did. Still: it’s better than very bad! The one-sixth of you who continue to be out of work or underemployed will surely take solace in that.